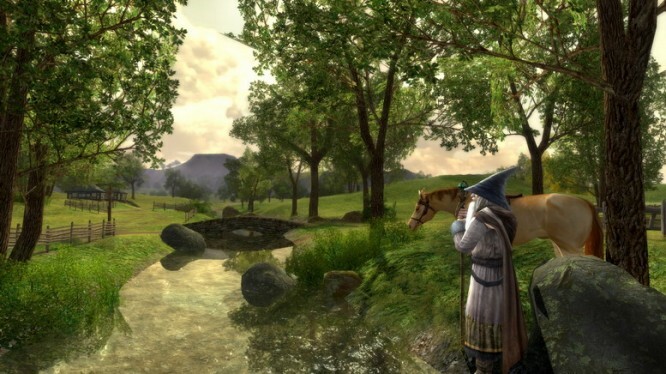 While Lord Of The Rings Online is not off the MMO graveyard, it is consolidating its remaining population into fewer servers. Turbine has announced the closing of several servers and that they will be moving them to a new data center. 19 servers will be closing and they will be announced on August 3rd, and then closed permanently before the new year begins. Character creation has been turned off to make it easier to migrate characters and free server transfers have begun in order to move players to more populated servers. The servers that are closing will have free transfers as long as the servers are still accessible but as of October 1st, transfers between the remaining 10 servers will require payment. A new patch that implements the server closures will introduce a new help tool to aid you in the migration. The tool known as the Transfer Service, will be accessible through the launcher at the World Selection screen. There will be a transfer button underneath the play button and from there you can choose which server to transfer your character from. For those who are active on the closing servers, you will receive a thank you gift box. The gift box will contain a title that includes your server name such as “Of (server name)”. As for your character names if you transfer to a server and your name is taken, but the user who has taken has been inactive for more than a year you will be able to claim your character name.